GARDEN CITY, N.Y. – Summer is most often associated with sunshine, outdoor activities and all-around fun. But it as soon as the days get longer, trips to the E.R. tend to spike. Doctors say the combination of warmer weather, time off from school and outdoor activities increases the risk of injuries. A Long Island personal injury lawyer at Cellino & Barnes says there are three injuries in particular that tend to increase among children over the summer months. Every year, more than a half-million bicyclists are injured. Most of those injuries affected children. According to the CDC, an estimated 26,000 kids suffer traumatic brain injuries as the result of a bicycle accident. The data suggests many of those injuries can be prevented by properly fitting a child with a helmet. Other bike injuries could include broken bones, muscular damage and lacerations that require stitches. Some bike accidents could be caused by cars or defective parts on the bicycle itself. If you suspect your child is the victim of either of these, Cellino & Barnes suggests contacting a Long Island personal injury attorney immediately as your family may be able to recover medical costs and more. Legal professionals also suggest teaching children the rules of the road and purchasing bicycles from reliable manufacturers. Kids love exploring. Sometimes it’s a tree, sometimes it’s a jungle gym, sometimes it’s somewhere you would never expect. The point is, children are susceptible to falls almost everywhere. The end result can include head injuries, sprains or broken bones. Falls from extreme heights could be deadly. They are currently the #1 reason for hospitalization in America today and the CDC estimates that 200,000 children are treated for playground falls alone each year. In many cases, these falls could be caused by poor maintenance, faulty equipment or the lack of supervision. If your child has been injured by a fall, Cellino & Barnes urges parents to contact a Long Island personal injury lawyer. In many cases, families have obtained significant settlements and verdicts after a slip or fall injury. Drowning is every parent’s worst fear when their child is near water. It is the chief cause of death among children between the ages of 1 and 3 and it’s the second-leading cause of death among kids under 15 years of age. The worst part is, nine out of ten drownings occur with parents in the pool area. Safety advocates say most drownings occur without a splash. In many cases, the child hits his or her head and sink to the bottom of the pool. Irreversible brain damage can occur after just three minutes under water. Long Island personal injury lawyers say these incidents are completely preventable and many private and public pool owners can be held liable for injuries in a pool area. Lifeguards, flotation device manufacturers, and cities or towns that fail to warn parents about unsafe conditions could be found negligent. Attorneys say the best way to prevent this nightmare is to always stay close to a child when they are in the water. For more safety tips and legal information, follow Cellino & Barnes on Twitter or Contact Us today for a free case evaluation. BUFFALO, N.Y. – There are many reasons you may want to go to a rehabilitation hospital. Rehab can speed-up your recovery time from injuries, surgeries or a stroke. But sometimes a stint in rehab can do more harm than good. According to a new government report released this week, nearly a third of the patients in rehab hospitals suffered a medical error, bedsore, infection, or in some cases they suffered a completely different injury. The doctors behind the study reviewed nearly 500 cases and said that nearly half of the incidents they identified were ‘clearly’ or ‘likely’ preventable. A Buffalo medical malpractice lawyer at Cellino & Barnes says errors in hospitals are some of the most common injuries Americans suffer. A recent report published by the BMJ found that medical errors could be claiming over 250,000 lives every year. That’s more than car accidents, stroke, Alzheimer’s disease, and respiratory diseases. In fact, only heart disease and cancer claim more lives each year. An oversight study on rehab facilities, conducted by the office of the inspector general (OIG) of the U.S. Department of Health and Human Services, echoed many of those previous reports. The OIG found that more than a quarter of the patients in hospitals and up to a third of those in skilled nursing facilities suffered an injury during their time in rehab. Still, some rehab centers are promoted as ‘healthier alternatives’ to typical hospital stays or a nursing home. “Patients can suffer medical malpractice in almost every healthcare environment but many of those heading to rehab are getting misled,” Barnes said. The injuries reported in the study added up to a total cost of around $7.7 million for just the one month researchers analyzed the data. The doctors who reviewed the cases noted that failure to provide care, substandard treatment and poor supervision caused the most harm. Nearly half of the cases (46 percent) were attributed to medication errors and painkillers. The inspector general has recommended that other government agencies work together to tackle the problem of medical malpractice in rehab facilities. One of the suggestions included making a list of all incidents but Buffalo medical malpractice lawyers say it could be a difficult challenge. Cellino & Barnes has helped many victims of malpractice recover significant settlements and verdicts. If you’ve been injured in a rehab center or hospital, a consultation with an attorney won’t cost you a thing. With multiple Cellino & Barnes offices in Buffalo, medical malpractice lawyers are always available to answer your questions. Contact Us today to get started. NEW YORK – The temperatures keep rising and this weekend, the mercury should rise above 90 degrees in the Big Apple. For some New Yorkers, that’s great news (since we only get a few months of warm temperatures) but for many others, it’s dangerous. Those who are outside must take preventative measures to protect themselves from heat stress and in some cases, employers must be careful too. With the climbing temperatures, it is especially important for those working outside to stay cool; a New York construction accident lawyer at Cellino & Barnes says not only can heat stress cause exhaustion – it can also lead to serious injuries and illnesses. According to the U.S. Occupational Health & Safety Administration, both air temperature and humidity can affect how hot a worker feels. OSHA follows the National Weather Service’s “heat index” chart to better measure the potential risk to workers. Those who work outside face a higher risk of heat-related illnesses. Direct sunlight can add up to 15 degrees to the heat index. Although OSHA doesn’t have a specific safety standard for hotter temperatures, New York construction accident lawyers say employers have an obligation to protect workers from excessive heat. During 2015, OSHA received more than 200 complaints of heat-related hospitalizations and at least eight workers were killed as the result of heat exposure. The agency reports it is already investigating several worker deaths this year. Doctors and safety advocates say each accident is preventable and in most cases, simply giving workers water, rest and shade could have prevented an incident. OHSA also provides a free heat app for both iPhone and Android users. For more information about Cellino & Barnes or for more summertime safety tips, follow Cellino & Barnes on Twitter. 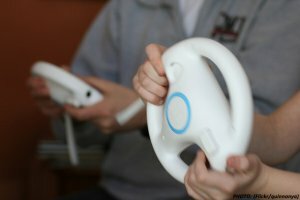 ROCHESTER, N.Y. – If you spent the majority of your childhood (or adulthood) playing Nintendo’s Mario Kart games, you may have received an important life lesson in driving. 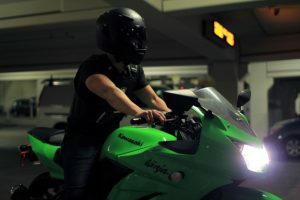 Although the real-world streets are less crowded with green turtle shells or banana hazards, a new study found that certain video games (like Mario Kart) could indeed make you a better driver. The study put 80 college students through several experiments involving different video games. Some of these games were considered ‘action-based’ and required the player to respond and interact with the game, like Mario Kart or first-person shooters. Others were required to play ‘non-action’ video games like The Sims or Rollercoaster Tycoon, where the player has almost complete control of the environment. In one experiment, players of ‘action-based’ games significantly improved their visuomotor-control skills. In contrast, the ‘non-action’ players didn’t show any development in that category. A Rochester car accident lawyer says visual and motor skills are important qualities for drivers to have, as they could help avoid a crash. Using a driving simulation, researchers put players through a variety of tests. In three different trials, players were asked to steer a virtual car down a lane, straying as little as possible from the center. Sounds easy, right? The research team added a few challenges. The players not only had to keep the car between the lines; they also had to compensate for crosswinds that could affect the virtual vehicle’s direction. The tests found that in-game experience mattered. Those who had been playing action games for more than five hours per week had significantly better reaction times and vision. Rochester car accident lawyers say those visuomotor skills are extremely important when operating motor vehicles. The attorneys say they often handle cases involving drivers whose visual acuity and motor skills were severely diminished in the moments before a crash. Study authors determined that playing action-based games could benefit both experienced drivers and those who have never been behind the wheel of a car. In fact, only a portion of the students studied had a driver’s license. According to their research, ‘action-based’ games can help people become better defensive drivers since the games require players to constantly make predictions and reevaluate those predictions on the fly, thus polishing the body’s motor skills. Although you may have mastered Mario Kart, Rochester car accident attorneys urge everyone to use proper judgement when operating a real car. This includes reducing the number of distractions around the driver and keeping alcohol content below the legal limit. There’s no excuse for driving drunk. If you’ve been injured by a drunk driver, you could be entitled to significant compensation. Contact Us now for a free consultation or Like Cellino & Barnes of Facebook to learn more about how our law firm is promoting safety and smart driving in our communities. NEW YORK – A Pokemon a day will not keep the doctor away. In fact, the American Academy of Orthopaedic Surgeons (AAOS) issued a warning to phone users everywhere: heads up! Spurred-on by the popularity of the new mobile game, the warning is meant to grab the attention of everyone who uses a smartphone. 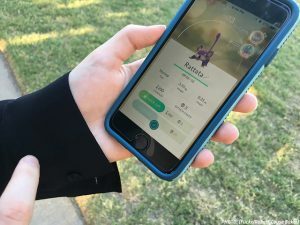 After all, a Brooklyn car accident lawyer at Cellino & Barnes says smartphone users have been getting hurt long before they could catch monsters on an app. In a statement, the orthopedic surgeon and AAOS spokesperson, Alan S. Hilibrand, said doctors are urging gamers and smartphone users to be mindful of their surroundings. Hilibrand said walking while looking at a phone can result in serious injuries including sprains, broken bones or even death. According to a recent AAOS study, nearly four out of 10 Americans have witnessed a distracted walking incident and roughly 25 percent have had a close-encounter themselves. Most Americans already believe distracted walking is a ‘serious’ issue but usually, the blame is placed on others, with 76 percent saying “other people” are walking distracted, the survey found. That leaves safety advocates with a conundrum: clearly, the phone is distracting – so distracting you may not even realize you’re distracted. Brooklyn car accident lawyers at Cellino & Barnes also urge smartphone users to be aware of vehicular traffic. If you’ve been struck by a vehicle, dozens of our clients have recommended others to call our Brooklyn car accident lawyers. Contact Us today for a free consultation. MELVILLE, N.Y. – Over 32 million cars have been impacted by the Takata air bag recalls but the big question: Is your car one of them? According to a new study conducted by Kelly Blue Book, most car owners aren’t even aware of the largest auto-recall in history. The study found that more Americans are familiar with the Zika Virus and Hillary Clinton’s e-mails than the air bag problems that have already claimed over 100 lives. A Long Island car accident lawyer at Cellino & Barnes says unlike Zika or Clinton’s e-mails, the Takata recall could affect almost every family in America. Kelly Blue Book found that only 52 percent of those surveyed were aware of the Takata recall. Of those who knew about the largest auto recall in history, only a portion of them had taken steps to find out if their cars were affected. The Takata recalls impacted millions of vehicles manufactured by more than 30 automakers around the globe. A defective air bag could explode with deadly force, even if the crash was minor. In some cases, the air bags deploy with such force it can shoot metal shrapnel at the driver’s face and neck. 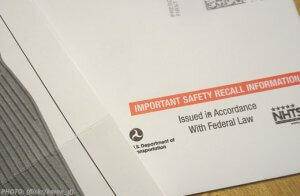 So, how does one know if their vehicle is under recall? All you have to do is search online. The National Highway Traffic Safety Administration, the government agency in charge of directing auto recalls, set-up the website “safercar.gov” to help car owners find more information about active recalls and to see if their car is affected. If you don’t know your VIN number, you can find it inside the driver-side door or on your registration. You can also sign-up for e-mail alerts, which will automatically update car owners if their vehicles have been impacted by a recent auto recall. As one of the leading personal injury firms in New York State, it is our goal at Cellino & Barnes to make our communities safer for everyone. Our Long Island car accident attorneys urge everyone to drive carefully and frequently check vehicles for recall notices. You can also find some major recall notices on the Cellino & Barnes Twitter page. If you believe you’ve been injured by a defective vehicle, you may be entitled to compensation. Contact Us today for a free consultation. BUFFALO, N.Y. – In case you haven’t noticed, many places are lighting-up the night with LED lights. They’re bright – and they save money on energy and maintenance but the American Medical Association introduced a new policy: dim it. Almost everything in Buffalo is lit-up with LED lights. Take a stroll down Canalside or a view of the Peace Bridge at night; it’s all an LED lightshow. However, safety advocates and doctors with the AMA are concerned about the way these lights are used. Almost 50 percent of all car crashes in America occur at between 9 PM and 9 AM when the outside environment is darkest. A Buffalo car accident lawyer at Cellino & Barnes says ighting, or the lack of lighting, is commonly a factor and while LED lights are cost-efficient and good for the environment but there are some drawbacks. According to the AMA, the glare of bright LED lights can constrict your eyes, making it more difficult to see at night. Bright lights can also twist-up sleep cycles and it could potentially affect local wildlife. Doctors said high-intensity LED lighting emits large amounts of blue light, which can create extreme nighttime glare and potentially cause a car crash. Luckily, the brightness of LED lights can be adjusted and the AMA is hoping cities across America get the message and dim the lights. Different lights emit different colors and there’s a measurement called “color temperature.” A higher color temperature usually means it’s high in blue light, which appears white to us. 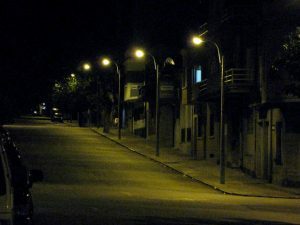 The Association recommends that street lighting have a color temperature of 3,000 Kelvin (K) or less for safety reasons. If you’ve been injured by a drunk negligent driver, the Buffalo car accident lawyers at Cellino & Barnes can help you obtain the best result possible. Contact them today for a free case evaluation. NEW YORK – You probably have the app on your phone even though it has only been around for a week. Pokémon Go is already the most popular app on Android and iOS and it will soon have more daily users than Twitter. Although it’s just a game, we’re already seeing some real-world affects. 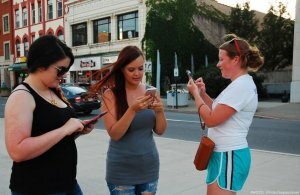 The new augmented reality game uses GPS to send players on an adventure through their cities, towns and countrysides on a quest to find Pokémon – creatures created by the popular Nintendo games in the 1990’s. The game encourages players to get outside and visit local landmarks or historical markers to restock on valuable in-game items; but a New York slip and fall lawyer at Cellino & Barnes says exploration is often paired with risk. One person claimed on Reddit that they slipped and fell down a ditch, leaving them with a 6-8 week recovery period. Other reports suggest the handheld game played a factor in car crashes and other accidents. The game has also been linked to violent crime, in at least one case. According to the O’Fallon Police Department in Missouri, robbery suspects the app’s geolocation feature to target and lure players into a secluded trap. The suspects were later apprehended by police officers but only after nearly a dozen teenagers were robbed. Other incidents can be startling. For example, a Wyoming teen stumbled across a dead body near the banks of the Big Wind River. “I was trying to get a water Pokémon,” the teen told CNN. With the game’s popularity reaching new highs every day, the New York slip and fall lawyers at Cellino & Barnes urge players to use caution – both inside and outside their vehicles. Some aspects of reality games can be beneficial: they promote physical activity and can create social connections but the safety aspect is often neglected. Cellino & Barnes has offices across New York State, including three in the Greater New York Metro Area. For office locations and more information about our New York slip and fall lawyers, find us on LinkedIn. BUFFALO, N.Y. – Many drivers are forced to do it every day: back-up. It’s a routine technique that many don’t put much thought into but that’s part of what makes it so dangerous. According to kidsandcars.org, more than seven children are struck by vehicles in reverse every day. A Buffalo car accident lawyer at Cellino & Barnes says most of these incidents involve a relative or parent behind the wheel. More than 60 percent of these accidents involve bigger vehicles like trucks, SUVs or vans. One of these incidents occurred in Buffalo Thursday night when an SUV struck and killed Rian Davis, a 20-month-old toddler near the Erie County Medical Center. Statistics show this was a typical back-up accident; most victims are just one year old. Buffalo car accident lawyers say most of these accidents, however, can be prevented. Different than ‘blind spots,’ blind zones can be up to 30 feet long and another 8 feet wide. Car accident attorneys say toddlers and toys can easily be lost in such a large space that a driver cannot see – but there could be promising changes on the way. 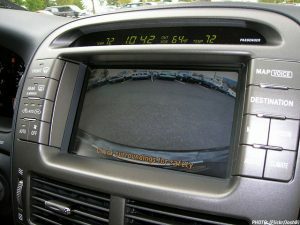 The National Highway Traffic Safety Administration will require nearly every new vehicle to be equipped with rear-view cameras by 2018. Senator Chuck Schumer (D-NY) helped call for this implementation in an effort to prevent hundreds of deaths every year. If you or a loved one has been injured or killed by a car in reverse, you may be entitled to significant compensation. Highly rated by on Google, Cellino & Barnes has helped families in Western New York obtain the best results possible. Contact an attorney today for a free case evaluation.